“Along with the usual treats that come with Spring is the visit to our Centre by Dani Ceccarelli, from September 8 – 20. 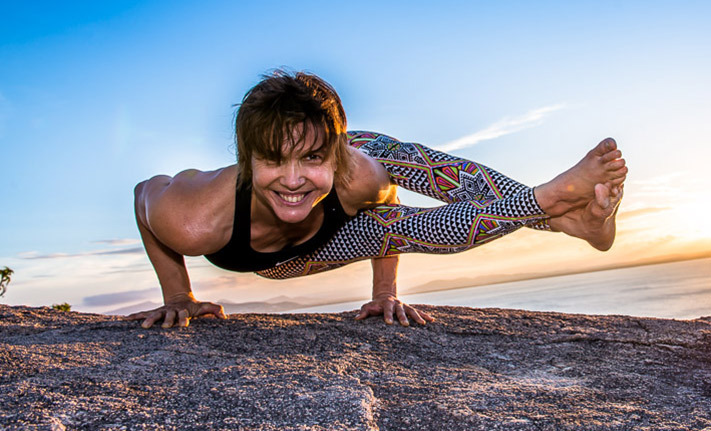 Dani will be travelling down from North Queensland to help out in Mysore and to run led classes over that time, and her visit will conclude with a weekend workshop on Sept 19 and 20. Dani is a good friend of both Tracy and l and is one of the few outside teachers I can rely on to cover our classes with humility and integrity. Dani is instantly warm and welcoming and a committed Yogini. I’m sure all the students will enjoy her genuinely happy nature and benefit from her years of dedicated practice and teaching, which is strongly influenced by the years spent under Guruji’s guidance. I’m sure you will all make her feel a home in the studio.